When you’re in need of new tyres, it can be a costly old process, especially if, as recommended, you replace two or four in one go. All of us are tightening the belt these days and looking for the most cost effective, as well as the safest, solution to many things, so that’s why many drivers buy part worn tyres in Leicester, instead of having to fork out the cost of paying for them all brand new. At first you might wonder why going for tyres that are already part worn is a safe option, but think of it this way. When a car is written off, it’s rarely because it has been smashed into smithereens. Sometimes a car can be written off by an insurance company simply because the cost to repair it is higher than the cost of the car. And, if the car isn’t worth much that can amount to not very many repairs needed at all before the vehicle is on its way to the scrap yard. It could also have been in some kind of accident that hasn’t affected the tyres in the slightest. They could be in absolutely tip top working order, with plenty of tread left on them, when they’re written off or sold on and that’s why part worn tyres can mean saving money through a sound investment. It’s not illegal to sell or use part worn tyres in the UK either, however they do need to meet strict standards in order to be eligible for sale to a member of the public. The secret is simply to pick wisely when you buy car parts – because one person’s safe may be very different from another’s (and it’s also a good idea to be fully in the know about what’s legal). Part worn tyres can be bought in many places, from a reputable scrap merchant to the side of the road, and as with anything, it pays to use common sense when choosing them. As people who regularly sell high quality, part worn tyres to our happy customers, here are some of our top tips for things to look out for. Do your homework and only buy from a reputable seller. Also check beforehand exactly what you need and how much you should expect to pay. Find out as much as you can about the history of the tyre. Look for top brand tyres. 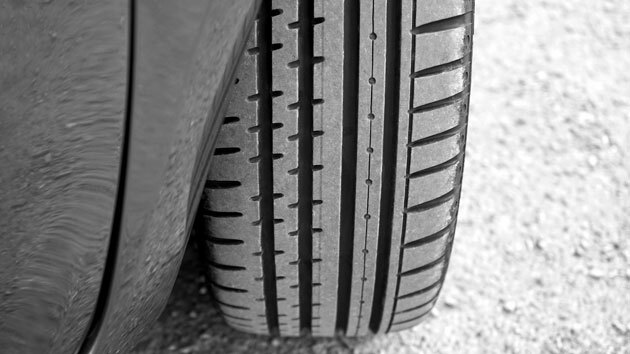 Buy tyres in pairs, so that the tyres on each axle of your car match. Check the tread depth and look for uneven wear, cracks, bubbles etc. Check the tyre carcass inside and out for damage. Always get a receipt for any part worn tyres that you buy – this will ensure the legitimacy of the seller. If in any doubt about the safety, don’t buy them. At Howkins, we use our years of experience to instantly find the exact product you need and we always check for quality and safety. For added peace of mind, we are also DVLA approved, which means you can rest assured that all our parts are thoroughly tested and quality assured. To find out more about our part worn tyres, or any of the other tens of thousands of second hand car parts that we have in stock, get in contact today. This entry was posted in Spare Car Parts on January 31, 2018 by Craig Howkins.